This hit takes you to the 1958 Springfield High School prom where we meet four girls with hopes and dreams as big as their crinoline skirts! 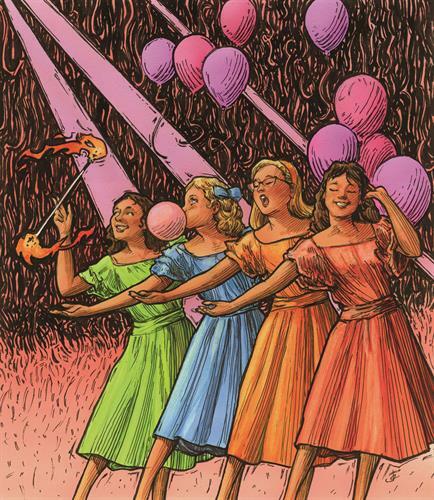 As we learn about their lives, the girls serenade us with classic ‘50s hits including “Lollipop,” “Dream Lover,” and “Stupid Cupid.” When the girls reunite to take the stage and perform at their ten-year reunion we learn about the past decade’s highs and lows. Matinee and Evening Performances Available. For a full list of performance dates and times, please take a look at our calendar. Ticket Prices range from $30- $45 depending on the date and time of the performance. Purchase Tickets from our website with the link below.